What is happiness? Is the simple yet vital question that you should ask yourself right now. It might change the way you think. One might define happiness as having positive feelings. 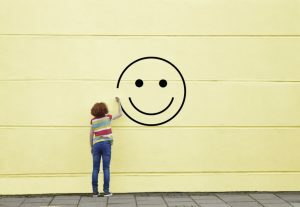 Psychology says that it is a mental or emotional-state of well-being which includes positive emotions that range from contentment to intense joy. 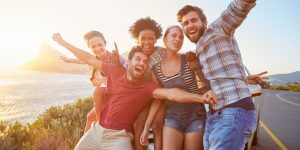 According to the article “How the Science of Happiness Can Help You Connect with Others”, Kira Newman introduced the importance of connecting with others by enrolling in a free, eight-week online course “The Science of Happiness”. This allows people to learn about the ground-breaking science of positive psychology where they will explore the roots of a happy and meaningful life. Newman lists stories of different students that saw big changes in their relationships and connections with others after taking the course. Do not underestimate the act of smiling or even saying hello to a stranger, it is a simple act that will allow you to effectively connect with others. You might be making someone’s day better! Cracking a smile has a positive implication on you too since it will send positive signals to your body. You should value the significance of kindness. 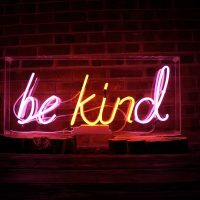 Kindness can start by offering to prepare coffee for a coworker for example, offer some of your food to the person sitting next to you or even helping someone stuck on something in school or work. Just allow yourself to give little things you’re good makes you kind. And that is not HEARING! Listening is an important skill for constructive communication. And being an active listener starts by actually being absorbed into what the person(s) in front of you are saying. You can train yourself by being an active listener by starting an eye contact and nodding for example. How is this linked to happiness? Being an active listener trains you to be more in tune with all of your senses, and you need your senses to be happy! Meditating and jotting down negative thoughts should be an essential part for personal reflection. This is a mental exercise which will release the negatives in a tangible way. 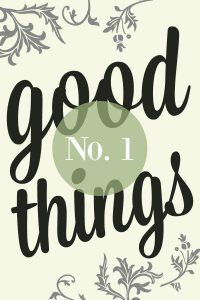 Something you can start right away is the “Three Good Things” practice; it fosters gratitude and emphasizes the blessings in your life. End the day by writing down three good things that happened today and it will change the emotional tone in your life. Strengthening connections with family, friends and romantic partners is another way for building positive relationships. A simple way is inviting a friend to your house for a movies night or a member in your family for lunch. Life can really get busy, but you should always value relationships. Living a happy life might not be easy, but starting with small acts that would lead to happiness will help you change your life. Make the world a better place by giving a stranger one of your smiles, and see what happens!